Heather Greenwood is 42 years old and is a Tulsa Firefight6er/Paramedic. 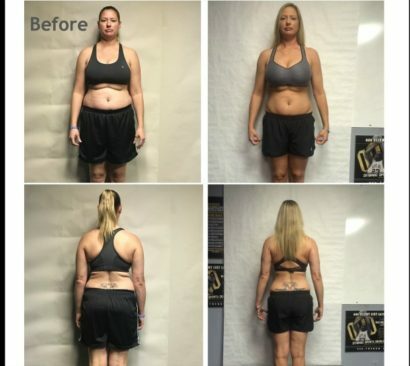 She has been a part of Fit First Responders since November 2015. What keeps Heather coming back to FFR? GUILT! Whenever she misses a day she feels so guilty. She explains, “ When I don’t get my daily dose of adrenaline, motivation, support, and camaraderie with my new friends and family and daily morning prayer, I feel like I am just not myself.” Heather loves to see how much she can improve as well…mentally, physically, and spiritually. She is always in a better frame of mind after a workout. She admits some mornings she doesn’t feel like going, but then remembers she told someone she would be there so she better go. Then she goes and is so glad she did because she feels so much better. She loves how the coaches push her beyond what she thinks her limits are and pushes her to do more and surpass what she thought she could do.